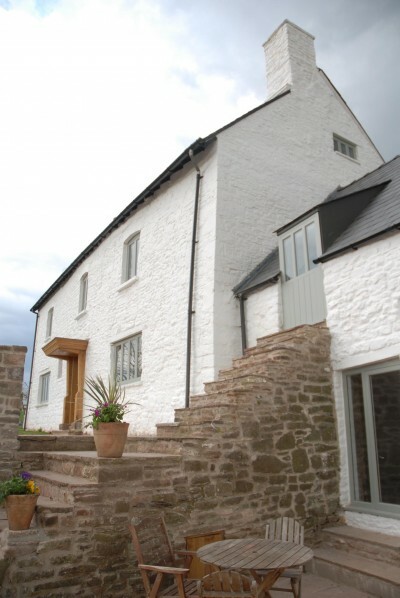 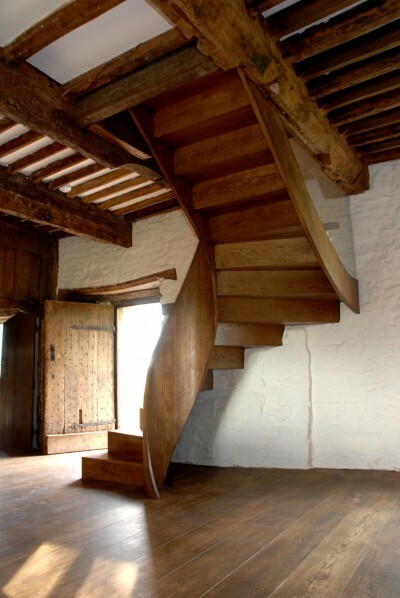 A Grade II listed late 16th Century farmhouse of historic significance but fairly run-down condition formed the starting point for an ambitious remodeling and restoration project to create a comfortable and generous family home. 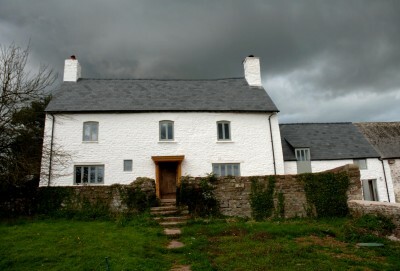 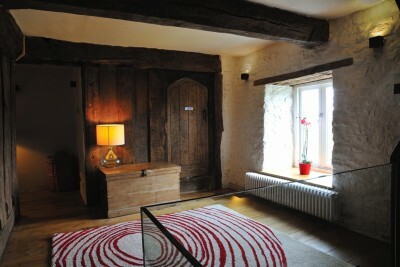 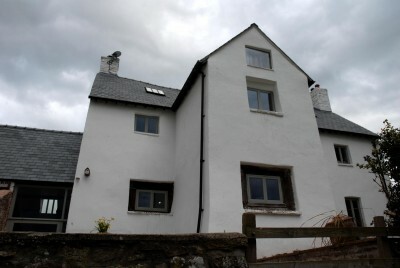 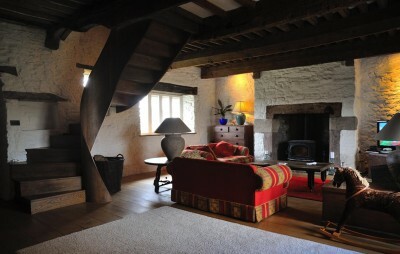 The project was followed in an hour long episode of BBC2’s Restoration Home. 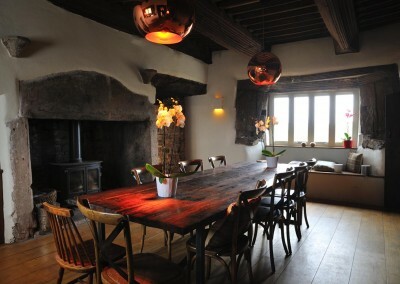 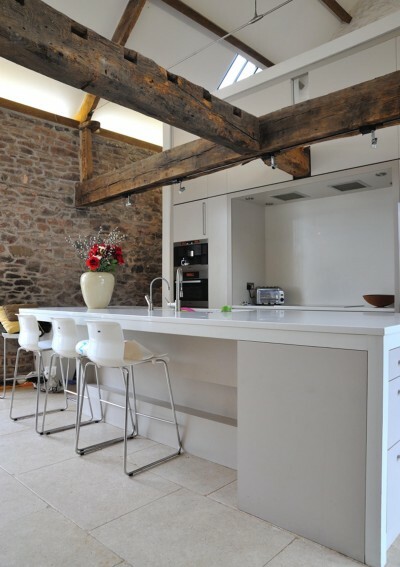 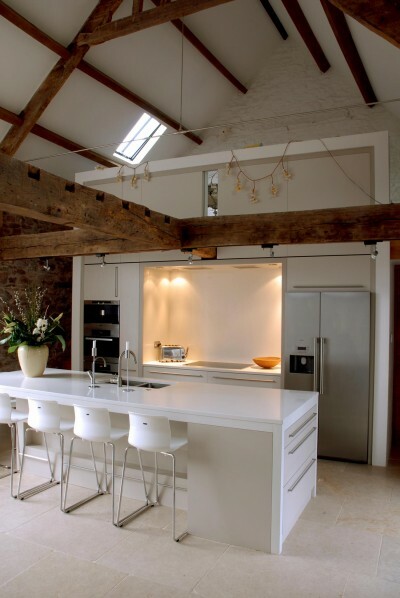 By opening up an entrance which had been blocked up for centuries, a connecting barn provides a light and spacious family kitchen that adjoins a formal dining room with hand carved beams and oak paneling. 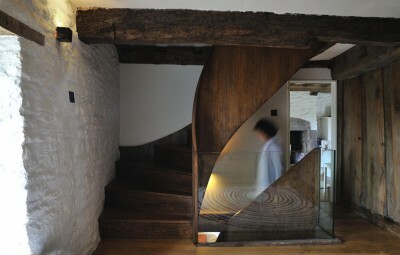 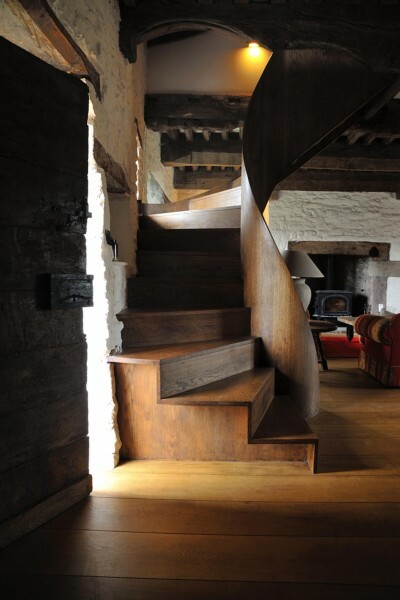 Changes include the insertion of a sinuous oak staircase which ascends two storeys through the heart of the house on a ribbon-like oak spine. 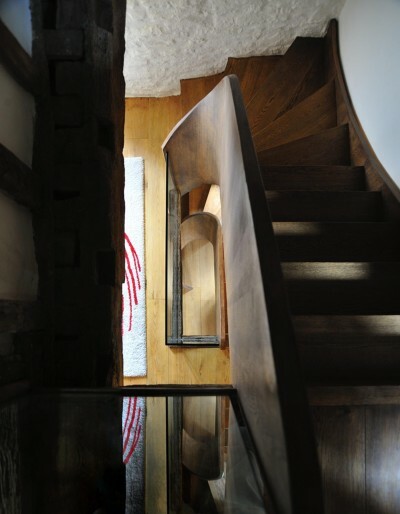 The new staircase provides access to a former attic space, enabling its transformation into a spacious master bedroom and guest suites. 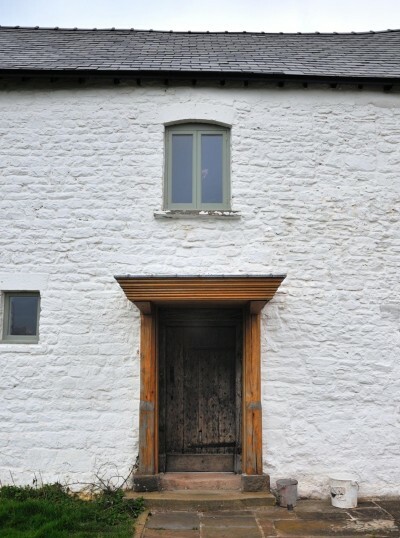 Elsewhere an enclosed 1960’s porch has been replaced with a new lead-roofed entrance canopy supported on an oak frame that responds to the robustly-carved 16th Century joinery evident within the house. 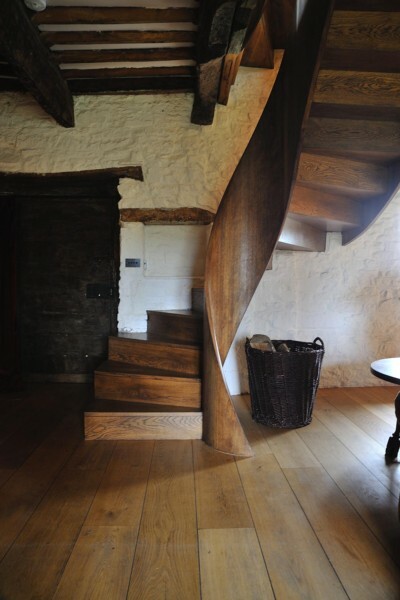 These new insertions are intended to leave a carefully-judged but confident imprint of the remodeling work, adding to the rich history of the building.